(ABS-CBNnews.com) DAVAO -- The Bureau of Customs District Office seized a Russian cargo plane abandoned at the Davao City International Airport since July 26, 2013. 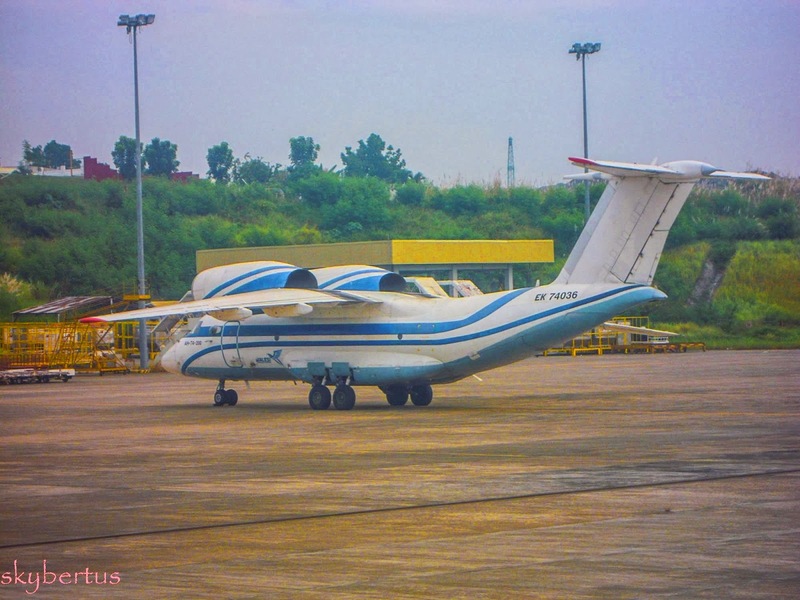 The BOC Davao issued a notice and order of abandonment December last year on the "overstaying" Antonov AH-74. According to the Tariff and Customs Code of the Philippines, foreign aircraft are only allowed to stay in the country for 30 days. "So as of now, the airplane is already owned by the Republic of the Philippines. Antonov po yan and it can now be sold through public auction," Edward James Dybuco, deputy collector of BOC-Davao, said. Based on a flight advisory, the plane came from Indonesia prior to its arrival in Davao on July 26, 2013. The Civil Aviation Authority of the Philippines said it has yet to determine what the airplane was doing in Davao. It arrived with only three crew members on board. The CAAP believes it landed for refueling or emergency landing and failed to leave. According to Engr. Agnes Udang, area manager of the airport, the plane has P300,000 in obligations to the airport. "Hindi rin paliliparin ng CAAP ang eroplano hangga't di nababayaran ang mahigit P300,000 na utang nito. Bayaran nila yung landing and parking, then aeronautical charges," Udang said. The Bureau of Immigration, meanwhile, claimed that the plane failed to leave due to technical problems. When the plane was fixed, however, it could not leave because of its debt to the airport. Eddie de Lima, alien control officer of the BI, said that the three crewmembers who came with the plane are now under surveillance by the National Intelligence Coordinating Agency. "Nagtatanong sila about the crew kasi mga Russians 'yon. Kung anong ginagawa, nagtagal man sila dito, at anong status nila. So we provided the NICA with information," he said.